What kind of gluten-free eater are you? Maybe you’re trying to cut back on your overall gluten intake to be healthier. Maybe you have a health condition where you’ve struggled to find answers and gluten-free has helped. Maybe you’re the type that dabbles in gluten-free recipes occasionally for the allergy needs of friends and loved ones. Or maybe you’re like me and eat 100% gluten-free, all the time for celiac disease or another related health condition. 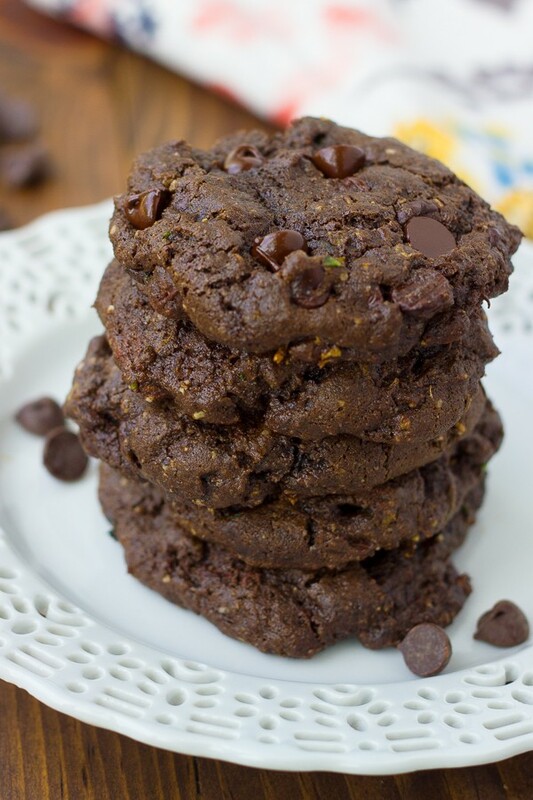 Whatever the reason you eat gluten-free, these cookies will brighten your day! I can honestly say they are the best chocolate cookies I’ve ever made. Gluten-free or not. These cookies are fudgey, rich and chocolatey. 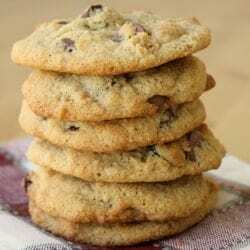 If you occasionally make gluten-free baked goods for loved ones, everyone at your next gathering will go crazy for these cookies. 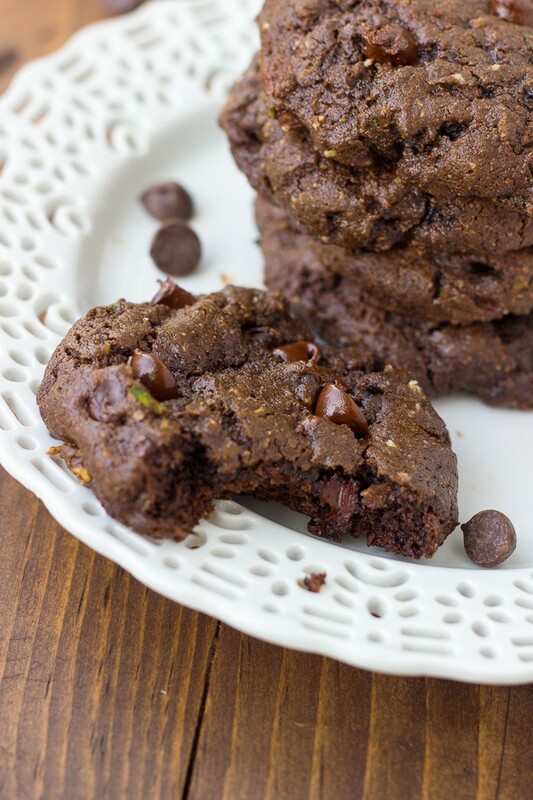 If you eat gluten-free all the time you’ll be in chocolatey, cookie heaven. Does the blogosphere/world wide web/universe need more zucchini baked goods? The answer is yes! Because the world desperately needs these cookies. And despite not having a garden of my own, I take the zucchini overpopulation issue very seriously. I’m quite sure I’ll be craving these cookies come January when zucchini is nowhere to be found. But for now these cookies are my go-to solution to the weekend the-kids-are-in-bed-and-we-need-a-movie-watching-treat dilemma. 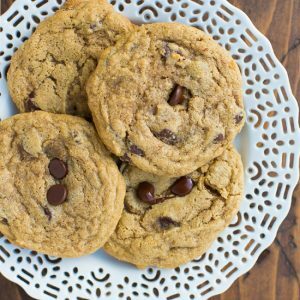 These cookies are made with my grain-free flour blend. I also add a little almond butter for stability and that fudgey texture. They don’t taste at all like almond butter. 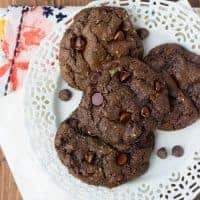 I wouldn’t venture to call these cookies healthy, but they are a step above your average cookie health-wise with the almond butter, zucchini, and grain-free flour blend. Really though, when I eat a cookie, I just want to eat a cookie. And these cookies are so delicious they ere on the side of dangerous; in that I want to eat them a little too much! 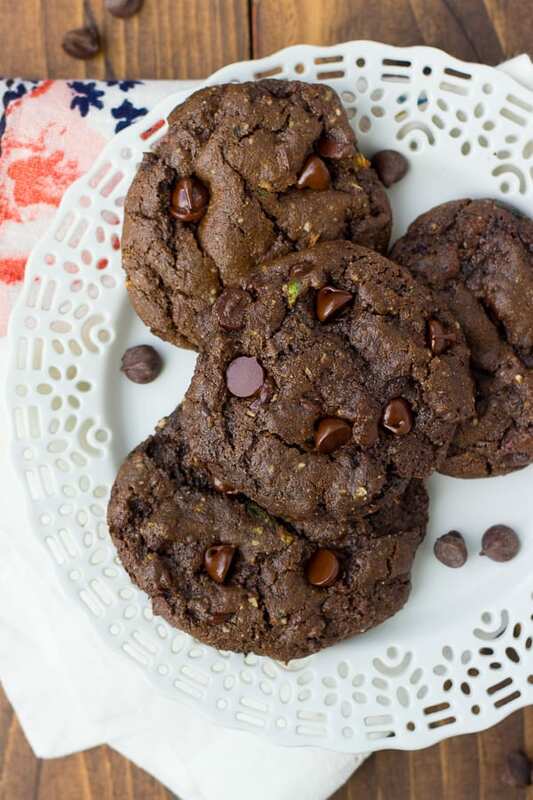 These cookies are fudgey, rich and chocolatey! Squeeze out the extra water from the grated zucchini until it is as dry as you can get it. My favorite way to do this is with a nut milk bag. You can also use a kitchen towel. Preheat the oven to 325F. Line a baking sheet with parchment paper or baking silpat liner. Melt the 2/3 cup chocolate chips in a small bowl in the microwave at 50% power. Stir the chocolate chips every minute to melt evenly and prevent scorching. Set aside and cool slightly to warm room temperature. 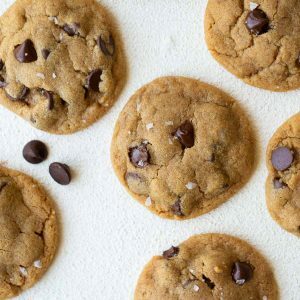 In the bowl of a stand mixer fitted with the paddle attachment, whip together the coconut oil, almond butter, granulated sugar and brown sugar for 2-3 minutes until light and creamy. Add the egg and vanilla and beat until totally combined. Stir in the zucchini. Pour in the melted chocolate and mix until well-combined. With the mixer running on low, slowly add the dry ingredients and mix until no dry streaks remain. Stir in the chocolate chips. Scoop the cookie dough into tablespoon or so sized balls. Place about 2-inches apart on the baking sheet. Bake for 10-12 minutes until just set. Let the cookies cool on the baking sheet for 4-5 minutes before transferring to a cooling rack. Enjoy!